Wedding is a very special day, it is the biggest event will ever happen in our lives. On that day, you promise to commit yourself to your partner forever. We're talking about your entire life here. We, women or ladies, must look the best on that day. We must look like a princess. Every girl's dream is to be a princess. No one will doubt that. I myself, 'til now still wants to be a princess, to wear a beautiful and magical gown like Cinderella's. On my wedding day, I will assure that I will wear the most beautiful gown in my sight on that night. I want to look as magical as those Disney princesses on their wedding night for my future husband. "CocoMelody is a leading bridal retailer, serving brides and their wedding parties for over 15 years. In recent years, CocoMelody has become an e-commerce bridal platform, providing professional online and offline service to bridal designers and shoppers all over the world." 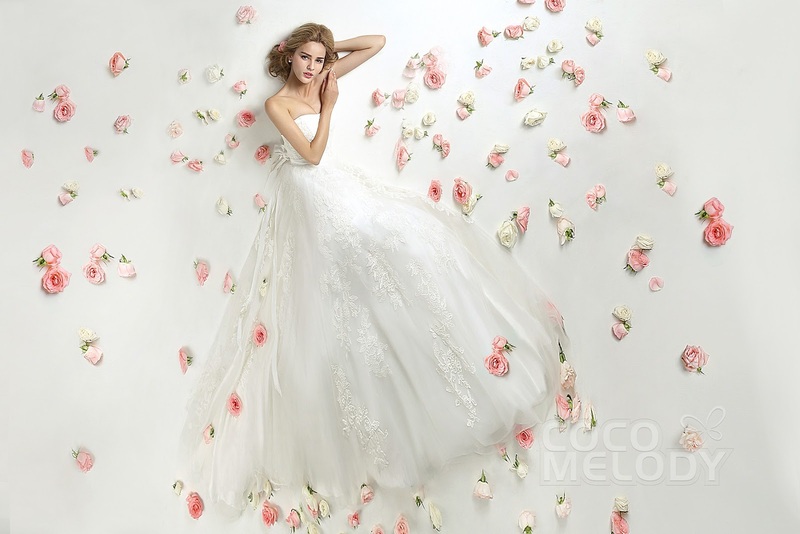 Coco Melody is ready to provide you quality services for your dream wedding gown. That's right! They will help you. Coco Melody offers Custom Made Design for you, and your own style, because they partner up with designer wedding dresses like the Lily White Collection, Grace Luxury Collection and wedding dresses 2016. Personalized gown services are really helpful for those like me, who's into modest gowns because I'm not allowed to show so much skin. All we need to do is coordinate with the designer and *bam*, your dream gown has come to reality. That sounds so satisfying, right? Bride's maid gowns are also available to suit up your wedding gown and motif color of your wedding. If I were to pick my motif color on my wedding, it would probably be turquoise. Because how beautiful and magical the color is? I mean, I really like it, it really suits the beach which is the place I want to assign my reception. Not as if I'm going to get married, but I'm definitely picking the turquoise. You can pick any color actually, Coco Melody has it all. Wedding essentials like veils and headpieces are also ready designed for you, to feel a little bit more like a princess, or rather a queen, because it's like a crown. Party Essentials are also available to complete your necessities. But can it be completed without your future husband? What about your husband? Men's Wear is also available in Coco Melody. All ready for your future husband, all you have to do is pick the best and *bam*, the princess and the prince is ready to arrive to the biggest event of their lives. Coco Melody doesn't only make gowns for wedding, although they specialize it, but they offer beautiful gowns and cocktails for different special occasions like Prom, Homecoming, Graduation, Sweet 16, and others. They've got beautiful and elegant designs just to meet your expectations. Everyone loves sale. If you don't, umm okay. But of course, you don't want to go broke after your wedding or after you bought that gown that you like. 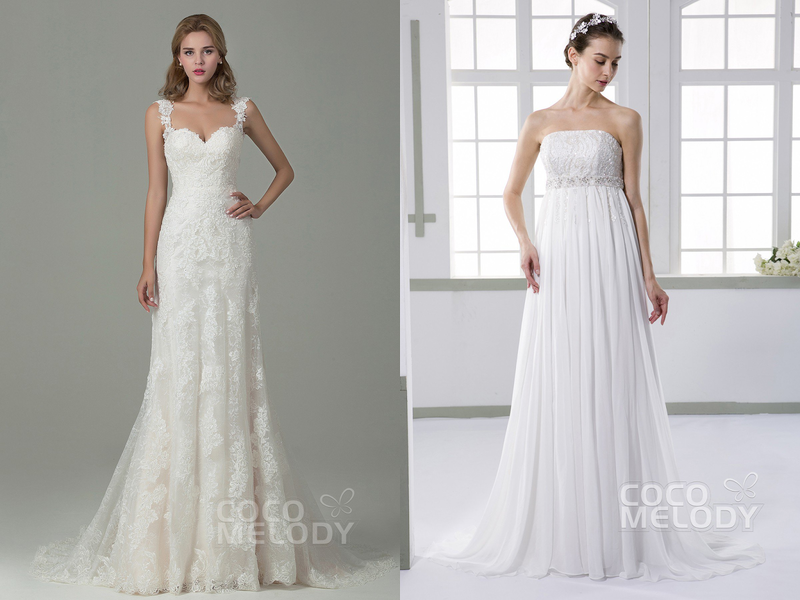 Coco Melody has bunch of on-sale gowns that looks so much of your dream gown. Coco Melody stores are available in Los Angeles, CA , Schalkam, Germany , TS Meppel, Netherlands , Tokyo-Nagoya-Fakuoka, Japan . They also provide free shipping on selected gowns which is great because I'm from the Philippines and most of my readers are from Philippines as well. You don't have to worry over those expensive shipping fee anymore. Philippines based: Service Center in Metro Manila. Please do recommend Coco Melody to whomever you know are getting married. Because not only they produce beautiful gowns but their services are the friendliest. If you want a smooth process, go to Coco Melody. For Inquiries: Click the "Coco Melody" above. They really are beautiful dresses. And the friendliest brand. I know right. Thanks to CocoMelody! They are. Thanks to CocoMelody. I love looking at wedding gowns hehe. These are so beautiful!! Me too. Yes, beautiful dresses from CocoMelody. Ahw, thank you, Cielo. Means a lot. I know right. That's why I picked it! Please do, you'll never regret it. They are. All thanks to CocoMelody. I know right. Me too! I'm going to save it for the future, haha. These wedding dresses are absolutely beautiful, especially the one on the left in the second photo. Cannot wait to one day wear one! They are, really. Yes please, then choose CocoMelody! It is an amazing brand. Thanks to CocoMelody. Oh, wow so many beautiful dresses. And the first picture is amazing! Yeaah. Thanks for dropping by! aww you getting married? congratulation! No no, I'm not getting married. I'm just advertising an amazing brand that benefits all upcoming bride and groom. Yeah, let's save marriage in the future. But let's save CocoMelody as choice. They really are. Thanks for dropping by! I am always a little cautious with online sites offering cheaper alternative for wedding gowns and prom dresses but I was pleasantly surprised to find out that Cocomelody actually has a store in US. At least I know they are legit. Yeah, CocoMelody is legit and has lots of amazing gowns. The dresses are gorgeous. This online store has so many beautiful pieces! Love them. They are. Yeah, all thanks to CocoMelody. Such a beautiful post! Those gowns are wonderful! Great choice! Thank you, Cvetina. Coco Melody has lots of wonderful gowns, really. Great post, loving the photos! Thanks to CocoMelody for producing gorgeous dresses. Thanks for dropping by, Taislany. All thanks to CocoMelody, indeed. Thanks for dropping by! Thank you. You might consider Coco Melody, they do provide custom design on your behalf. Haha I'm familiar with CocoMelody as I've seen their dresses everywhere, and I do agree they have some really pretty designs! I like seeing the one with the detailed backs too, those are my favorite! I'm glad you loved them. I know right! All thanks to CocoMelody. Oh why not, sounds like a good idea. All thanks to CocoMelody. Thanks for dropping by! I'm not getting married, but I still love looking at beautiful dresses and these are certainly gorgeous! I love a good wedding! I couldn't agree more with you, Emily. Oh why thank you, Zaira.